I really wasn't planning on doing another post about the robins so soon but I am truly shocked how fast they are growing! I promise there will be more new encaustic work to show very soon. 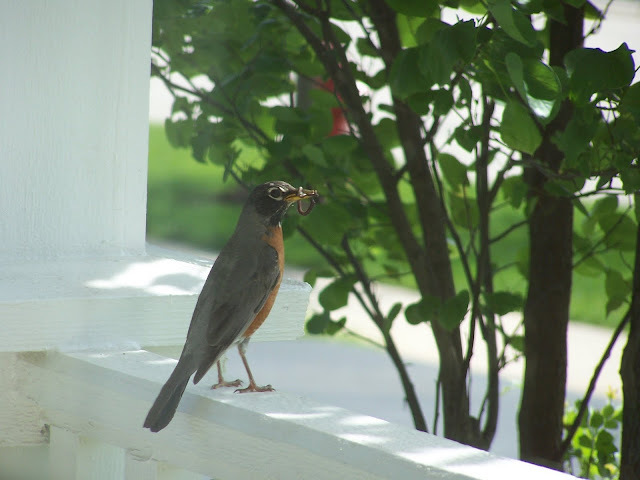 I was able to catch a couple snap shots out the window of mommy (or maybe daddy robin) with a big fat worm to feed the youngsters. But look how big they are! I can't believe how fast their feathers grew in. I took those other photos a mere four days ago. All four babies are still in there but they are hard to see. The one in the middle is laying on top of the 4th baby. ﻿They are much more wary of me now and I cannot fool them into opening up their mouths for me anymore either. 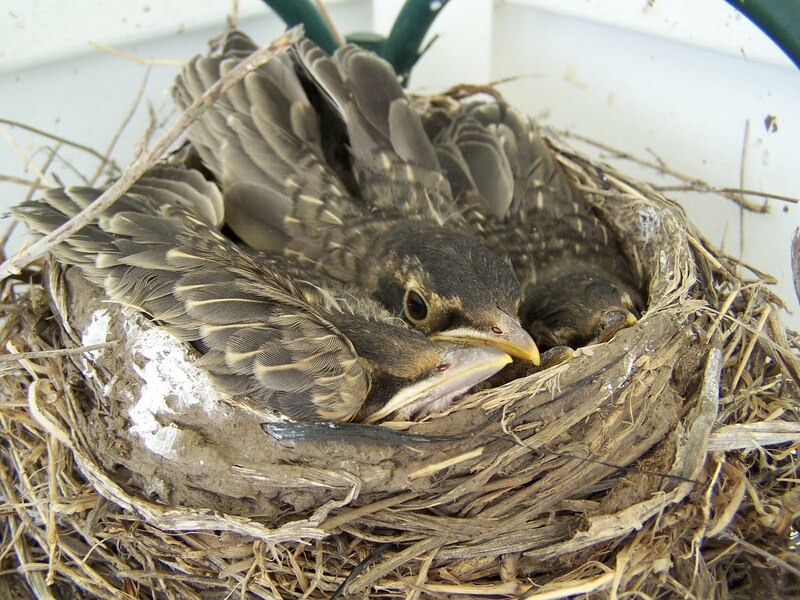 When they see me now they hunker down and try to hide inside their ever shrinking nest. 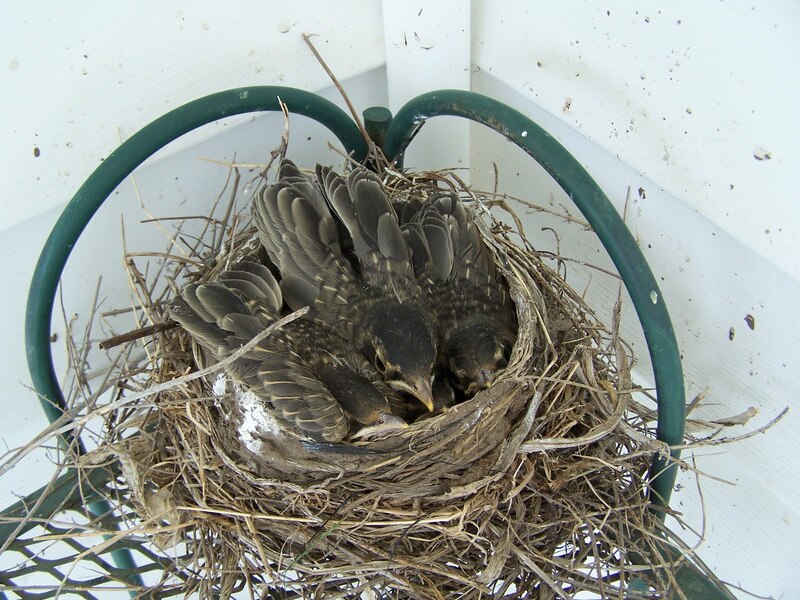 I have a feeling they will be attempting to leave the nest within the next week. I will miss them! I'm so glad I took these photos yesterday because today there were only two left in the nest! O, and thank you for the link to kirsten's site. the 2008 work i especially like. Wow! That's crazy! 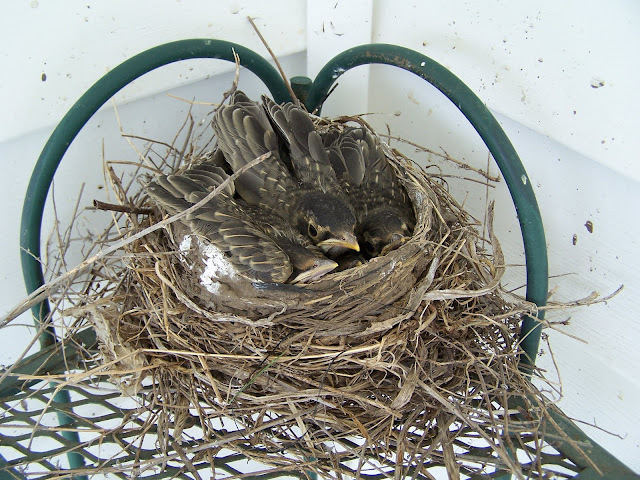 A mere week or two and the babies must fly the nest. I love the updates! 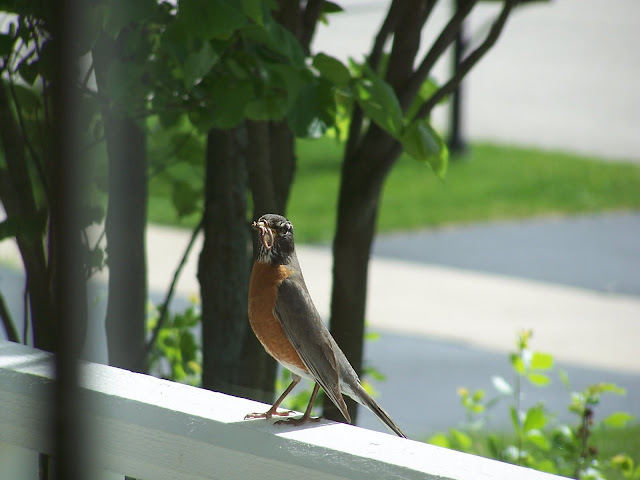 I don't know why robins don't build bigger nests. My son's family had a little nest like yours and now (just like that!) they have all flown away. They grow SO fast! Laura these pictures are so lovely! I adore the last one. They are so beautiful. Thanks for sharing!